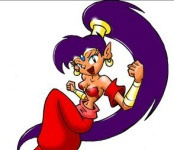 Fed up of waiting for Shantae: Risky's Revenge to reach Europe? Circle this date on your calendar, then: Friday, February 11th, and put aside 1200 DSi Points for the game as well. In case the whole Shantae excitement has passed you by, be sure to read our Shantae: Risky's Revenge review to find out why this is the only DSiWare game to score a 10/10 from Nintendo Life. Good for them! This is a truly excellent DSiWare game that should not be missed by anyone! I will get it(at some point) but I kind of wish it would have been 1000 due to how long we've waited. Yay! I'll pick this up for sure. For some reason, I thought EU had it already... just goes to show that it was mostly Americans whining about it not being released in the first place. Oh well, have fun! It may be four weeks late but at least it's coming. I still haven't picked this up yet. Alphabounce is a VERY extensive game, and I've got a few others to play before I pick this up. You took your time Shantae. Still, I shall be buying this. Blame the OFLC for that one, they charge way too much to get games rated which is why so many publishers ignore Australia. Why oh why did I Ignore the original game on GBC? That sure was ignorant of me. I hope it comes to the 3DS VC someday in the near future. Meantime I'll have to get risky's revenge as soon as I get me a 3DS. Why does she have do be dressed so bad? After almost all 10 years, europeans will be able to enjoy their first adventure of Shantae. I played the GBC game up to the 100% completion, and I can say that it's one of the best GBC games that were released. It's a pity that it appeared too late and never reached Europe. I haven't heard much about it but it still annoys me that it isn't getting released in Australia. This is a 10/10 game and we can't have it? This just reminds me more of how I need to import a 3DS from Europe even if it costs more for reasons like not getting half the DSiWare and most likely the 3DSWare as well. I think I have 200 points spare on my DSi XL from downloading Art Academy, so hopefully I should be able to get this in one points purchase. Oooooh, expensive...but I'll be getting it. Don´t have DSi but will definetely buy this when I have 3DS. @17. Portista. whats wrong with it? I didn't really like Mighty Flip Champs at all. I grew bored of the gameplay and art style very fast. However, I love quality platformers, so is this game for me? Ahh, finally... will it took long enough to get here. But finally "Shantae Risky's Revenge" gives me the excuse to upgrade my beloved DS to a DSiXL and make my first DSiWare purchace. This game just looks so cute and fun! After almost 5 months I can hardly wait anymore... but just one week to go. Now just need to decide on whether to buy a yellow or a dark brown one... the limited edition red ones have disappeared from the shops... although they weren't sold-out at all. Wandering what they do with the unsold limited editions? Probably recycle them as food for Pokemons. 1200 POINTS!!!!! I thought DSiWare didn't get anymore expensive than 800.